Posted on March 1, 2018 by On a Higher Note. Gryphon Audio has a remarkable reputation for their systems approach with designers and engineers knowing just the right touch needed to evoke just enough emotion. 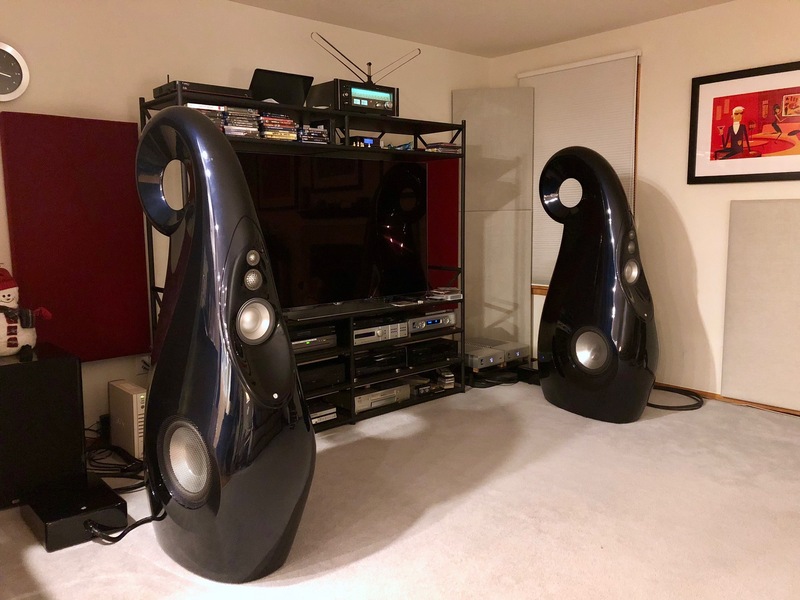 The brand leads with their money-no-object electronics design and solution, with their indisputably well reviewed integrated amplifiers, the Diablos, to their Scorpio S CD player, their flagship Mephisto Monoblocks, and their Kodo loudspeaker system. The latest excitement is the announcement of their Sonett outboard phonostage. 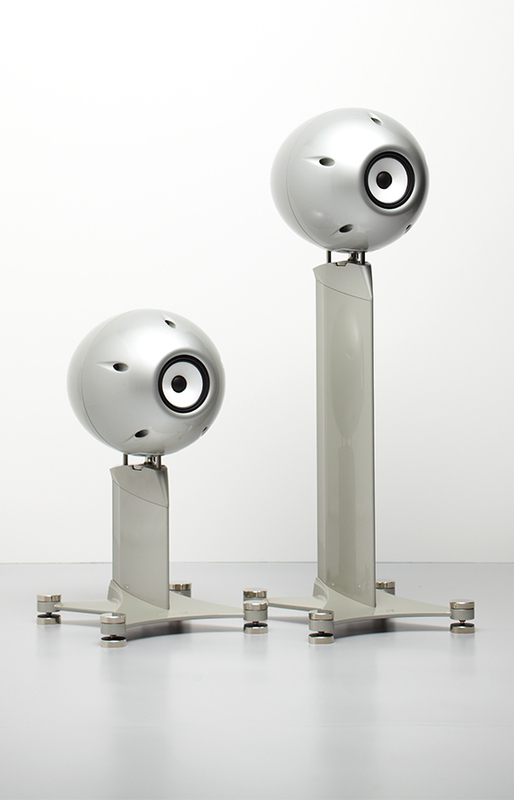 By now, we have had many hours of critical listening in our listening room with Gryphon components. We have also conducted multiple shows and dealer seminars with Gryphon systems. 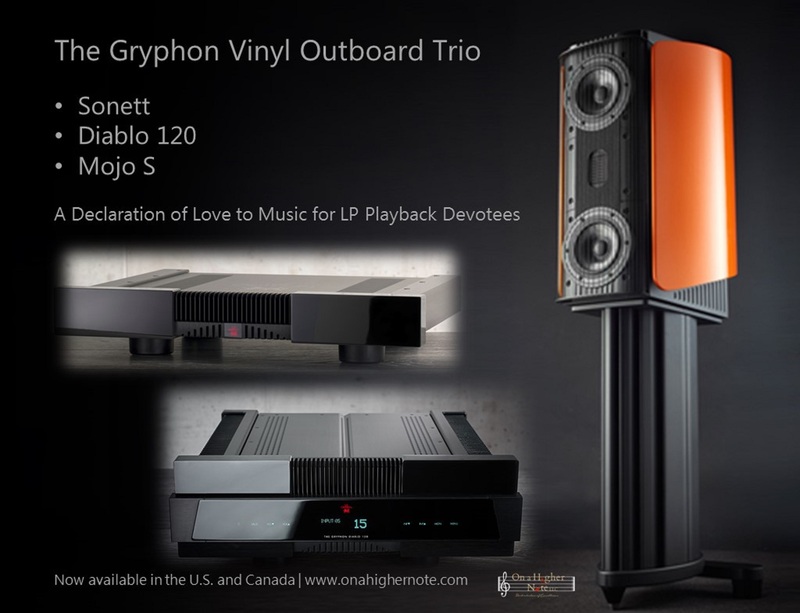 When Gryphon Audio released their Sonett Phonostage last month, a component that in our opinion finally completes the third leg of an ideal trio for at least 3 kinds of clients, we want to offer our personal first-hand observations and share insight from clients and dealers of their Gryphon systems, all to explain why we believe this Gryphon outboard vinyl playback trio should be on the short list of vinyl connoisseur’s. Clients who are leaving the family home after their children have left have less space than in the past. While they desire less clutter and a loudspeaker system with a smaller footprint, they don’t want less quality than what they have had from the separates. Many clients who love the sound from the vacuum-tube components are tired of the maintenance involved to change out the tubes. Class A amplifiers seems to be the logical next step. On that note, even though Class A power slides into Class AB, most listening is done in Class A. “I am in love” is one of the usual comments we hear back. We have had clients call to tell us how excited they were to catch the reflection of a line left by a teardrop in a darkened room on their friend’s face. Witnessing the emotion and passion triggered from listening to a wonderful piece of music is a perfect testimony to the legacy of Gryphon Audio’s Founder, Flemming Rasmussen. To be fair, we have heard from dealers and customers how well this Diablo 120 integrated amplifier and its big brother Diablo 300 work with many different great loudspeakers. From the Focal Sopras to the Wilson Yvettes to he Magico S3 MK2 and the Rockports, all are worthy of their own right. and pairs well with this first class piece of electronics from Gryphon Audio. Quoting a Wilson dealer who gave us feedback of an Yvette with the Diablo 120, he said, “Finally we have bass!”. The New Sonett Phonostage. The latest product release by Gryphon was their Sonett Phonostage, another testament of Gryphon’s dedication to support music lovers’ passion to extract the very best from black vinyl grooves. 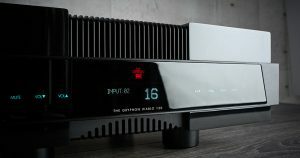 Their double down commitment to extend the performance of the reference level Gryphon Legato Legacy phonostage to more affordable price point, is a delight for vinyl connoisseurs who are desirous of an outboard vinyl solution, separate from their PSII optional add-on phonostage module to the Diablo 120 and Diablo 300 integrated amplifiers. The major improvement of the Sonett over the PSII is the increased flexibility and compatibility between the loading and the variety of cartridges. Now you can hear the snap, the rhythm and the visceral bass of the music with more of your cartridge choices. PSII was designed principally for the Benz Micro cartridges. Owners of other cartridges now can experience all the magic meant to be delivered to all . The ease of access when changing settings for the Sonett versus the PSII is something we must point out. Inside the Gryphon integrated amplifier, the DAC module goes on top of the phonostage module. That means if you want to change the settings of the PSII, not only do you need to remove the top plates and the sides, you also have to remove the DAC module itself and must access the dip switches internally. The Sonett offers a choice of 10 loading settings (as opposed to 2 loading settings for the PSII). The switches themselves are on the back panel of the phonostage, much more accessible to users. The Mojo S Speaker system in a small to medium size room is wonderfully dynamic and has wonderful punchy bass. It shares the same Mundorf ribbon tweeter, Air Motion Transformer, as Gryphon’s flagship Kodo Speaker System, famed to deliver wonderful air and a gorgeous silky upper mid-range. 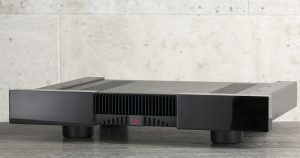 T he Diablo 120 Integrated Amplifier gives away very little to the Diablo 300 except in the low to mid bass as its big brother does outshine the little brother in the slam, power and the foundation provides. Tonally, the two are similar. For the budget conscious or the space restricted music lovers, this audio jewel is a terrific solution especially when you can put either a DAC or phonostage into the unit, and it cuts down on the general amount of clutter separates gives. 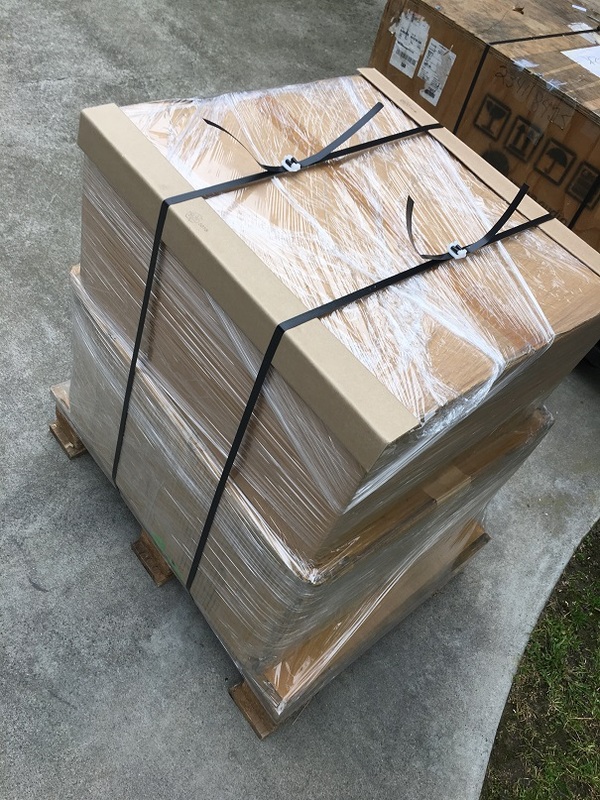 This entry was posted in Latest News, Personal Audio Review Notes and tagged Diablo 120, Diablo 300, Gryphon Audio, High End Audio, integrated amplifier, loudspeaker, LP Outboard, Mojo S, Sonett.